She says Versartis and its service-provider organizations worked together throughout the process, including cancelling some and altering other contracts, charting out various tasks, and thinking through future planning. 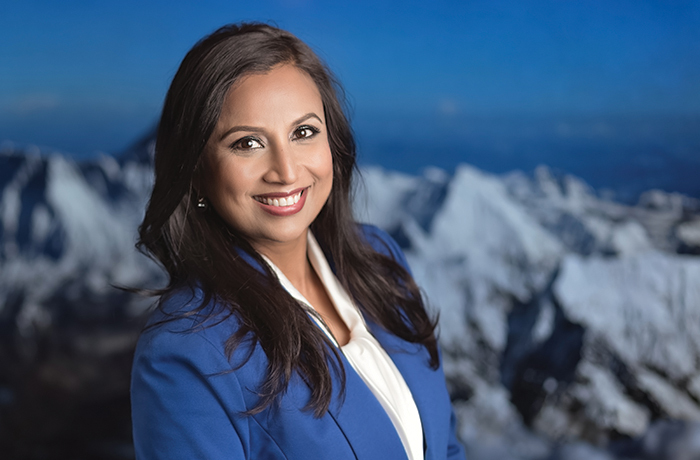 “Through difficult times like this,” explains Kumar, “it’s evident mutual trust and understanding between the CMO and drug sponsor is of utmost value.” She says at Versartis, this feeling comes from her CEO, Jay Shepard. “He’s always been a strong advocate for relationship building.” Shepard also was the CEO of Relypsa for part of the time Kumar was at that company prior to her joining Versartis. She also acknowledges two other former Relypsa CEOs, Gerrit Klaerner and John Orwin, as important contributors to her maturing as a quality head. A physical organic chemist by training, Kumar started her career in preformulation at Syntex, which integrated into Roche in 1994. She subsequently moved on to positions including analytical development and sterile manufacturing. In 2000, she had her first experience directly in quality, where she has stayed put since. She experienced working at a CMO when Roche sold Syntex’s pharmaceutical development capabilities to OREAD. “That’s where I learned what it feels like to be on the other side,” she says. She joined Relypsa at its inception (2007) and became part of its successful development and commercialization of Veltassa, a prescription medication to treat high levels of potassium in blood (hyperkalemia). These experiences — both successes and setbacks — have shaped what she calls a “consensus approach” to outsourcing in the quality function. I ask Kumar for one more cautionary tale for our readers. She starts to recall a “misinterpretation” that a product color was within a specification range. “We kept asking the service provider to send us more pictures, and each time we’d say, ‘No, the material looks too dark.’ When we sent people on-site, sure enough, the color was out of spec, but the CMO still saw it as being okay. Subjectivity was involved, so I would not really call it bad intent, just a difference in judgment. However, we needed to take a stand and reject the material. And as important, it was incumbent upon us to then improve our methods to minimize that subjectivity. Kumar says the above situations may not have perfect solutions. However, here (in her own words) are three areas where the quality team’s approach can help avoid issues from developing and overcome them when they do arise. And, we’ll now hear how those stakeholders include the FDA. The trouble with many guiding tenets is they break down at the rocky shores of reality. That is, ideals meet with too many exceptions to regard them as cohesive in application. For the quality function in a biopharma outsourced model, that shoreline is often the regulatory body. Does Kumar’s belief in an empathetic approach, for example, work with the FDA? That question was addressed at a recent Outsourced Pharma San Francisco conference, during (a rather remarkable) discussion in a session titled, “Teaming Up For Regulatory Advancements.” A dialogue ensued between Kumar and Umar Hayat, who were colleagues at a biopharma during an important product approval/ launch. (At the time, Hayat was senior director of pharmaceutical development and manufacturing; he is currently Principal, Hayat Pharmaceuticals Consulting.) Below is some of that back and forth. HAYAT: When you’re conducting clinical studies for unmet medical needs, particularly, the FDA will often begin to demonstrate a teaming-up aspect with you. Smaller companies may understand the teaming up between CMOs and sponsors, but what is not so evident is that the FDA is also willing to join. This is increased for breakthrough technologies or fast-track programs. Vinita and I worked for a small company on one such program, and I can tell you the FDA made us feel like a big corporation. We wanted to launch immediately after approval and could not have that if the FDA and our CMOs were not proactively cooperating with us. KUMAR: Yes, the FDA was almost navigating us. They actually suggested a path that would allow us to keep the PDUFA timeline. We thought a bigger study might be required, but they said we had the necessary data. Our regulatory team was sending emails to the FDA frequently; amazingly, we would get responses by the next morning. It was incredible to see how empathetic they were for getting this new drug out to patients as soon as possible. HAYAT: The quantity we needed to ship to patients got changed, so that meant the box size, carton design, and even the printing had to change. We had version A as the first labeled content we filed with the FDA. That went to version B, C, D, E, F … I think G was the last. Of course, the validation batches already had been manufactured and were in our CMO’s facility. Some of the lots were already printed, but there was a statement not included on those that became important. The FDA was open enough to tell us we could inkjet the short statement manually on the preprinted labels. [This elicits gasps of surprise from the audience.] Well yes, when you think about it, the FDA really has two objectives. One is to set and ensure full regulatory compliance for manufacturing and safety for patients. But secondly, to make sure that the drug is available to patients in need as soon as possible. I think it also shows the FDA is concerned about the resources you have already spent — in this case, 7.5 metric tons of material. KUMAR: So let me insert that Umar is, of course, the manufacturing guy. [Audience sends up a collective laugh.] This all came about as a result of our working closely with the FDA. We already had processed material, as Umar described. But from a strictly quality, regulatory, and safety perspective, we asked the FDA what we could do. They suggested that if we could clearly demonstrate that this additional printing would be strictly controlled, and effectively limited for a defined period of time, we could use the material with a printing solution. In the end, the partnership we saw among the sponsor company, all our partners who remained responsive, and in this case, particularly the FDA, was remarkable.